I am recommending the New York Times’ Stanley Fish February 16 column, Is the Academy Different? for the benefit of the 4 Barnacles of the Apocalypse* and other colleagues confused about tenets and canons of Academic Freedom. [ Breaking News, February 24, 11:24 p.m.: Several news organizations have reported that Rupert Murdoch, head of News Corporation that owns the New York Post, has issued “an apology.” This is a significant moment in a high stakes game of the Politics of Journalism. As well as Race Politics. The organizers have obviously scored a hit but of what significance? I need time to process. One of the New York Postâ€™s cherished editorial traditions, denigrating and mocking African Americans, finally earned that publication the ignominy that it most rightfully deserved, though I wish the comeuppance had resulted from an undeniable slander rather than the one seized by the organizers of the demonstration in front of 1211 Avenue of the Americas. Shortly after Rupert Murdoch bought the Post, its Australian and British and American editors and reporters relished its “news stories” spiting African Americans. 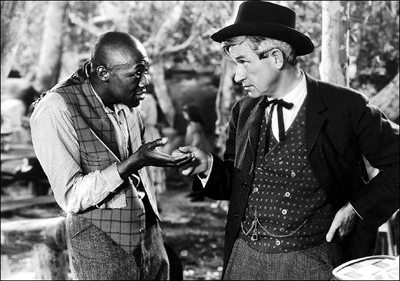 I recall one vile tongue-in-cheek about Stepin Fetchit who was dead at the time but none the less was described in a Post article as a gifted African American actor whom the black community should be proud. This picture of Stepin Fetchit groveling in a typically degenerate manner was not the one used by the Post but matches the essence of that missing picture. Do they really want to teach introductory news writing? Instruct students whose impressions of journalism have been influenced by the content of their Myspace and Facebook accounts? 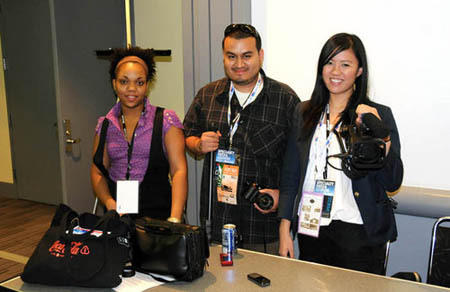 Are they passionate about preparing the next wave of journalists? Israel began its military offensive against Hamas December 27, and the war ended January 18, 2009 with what is being called an unilateral ceasefire. I was in Israel for a large part of the conflict. During that period, both sides claimed the moral high ground. There have been countless arguments about whether Hamas is a terrorist group, whether Israelâ€™s response to the rocket fire was disproportionate, if Israel was and is oppressive and who is really at fault. You are currently browsing the The WORD Blog blog archives for February, 2009.